As the year ends, we revisit some of our favorite products of the year. Most of us should eat more beans, a good source of protein and nutrients. 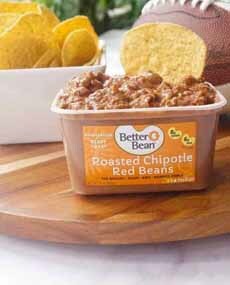 Ready-to-eat better beans can be used as a dip, spread or side. Seeds are better-for-you snack foods. Superseedz seasons them so deftly, that whether you want sweet or savory, you’ll fall hard. They also make great garnishes. We taste a lot of fine vodkas, but the one that stands head and shoulder above the rest is Casa Noble Tequila. It’s a fitting name. If you love cornbread, these crisps satisfy the longing. They’re crispy instead of crumbly, room temperature instead of warm, but they hit the spot. These cookies (photo #2), which are of a softer style, are so satisfying that they substitute for our first love, which is cake. 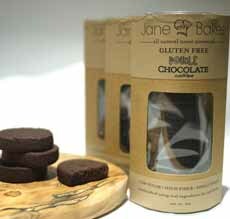 There are two gluten-free flavors. Better Beans, for dipping, spreading or sides, in several flavors. (photo courtesy Better Beans). 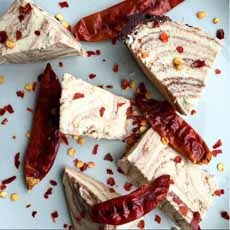 Chili chocolate chunk halva is just one of some two dozen irresistible flavors (photo courtesy Seed + Mill). Halva lovers, look no further. This halva (photo #3) is heavenly, in more flavors than you’ll have time to eat.